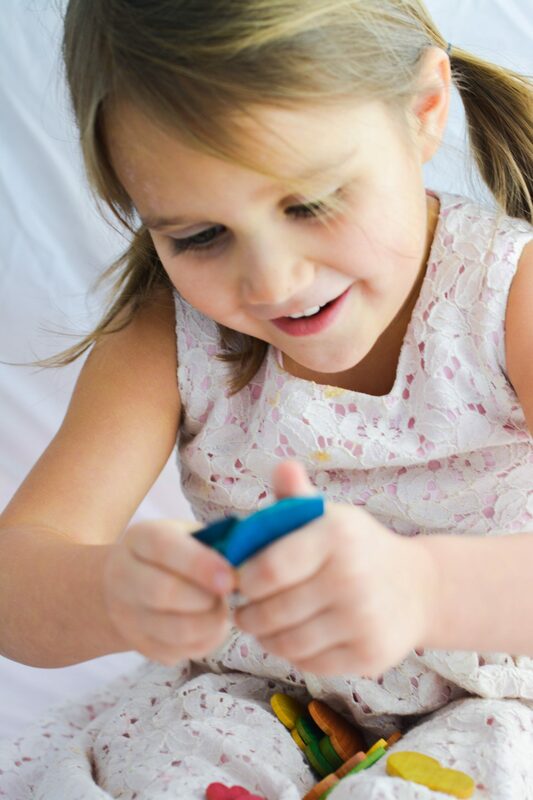 Montessori at Home: Check out these Amazing Resources! You are here: Home / Homeschooling / Set up your Montessori at Home with these Handmade Learning Resources! I have a confession, I LOVE Montessori. If I could afford it, I would set up my entire classroom and homeschool as “Montessori at Home”. It would be a beautiful thing. I have spent HOURS ogling beautiful Montessori classrooms on Pinterest, many a late night staring longingly at the handmade trays and set ups, downright coveting them (#facepalm)! As a hopeless all or nothing person, I have the mentality that if I can’t do it ALL the way, I won’t do it at all. The great thing with Montessori however, is it doesn’t have to work like that! You can start with just one learning tray, or even just one activity! 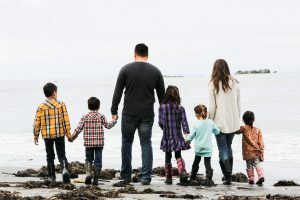 If you are new to the concept of Montessori, it is basically a method of educating where your child directs their own learning through play. You set up trays/centers throughout your house or school area and your children are free to explore and learn at their own rate, with what interests them. It is an incredibly powerful learning method for children. 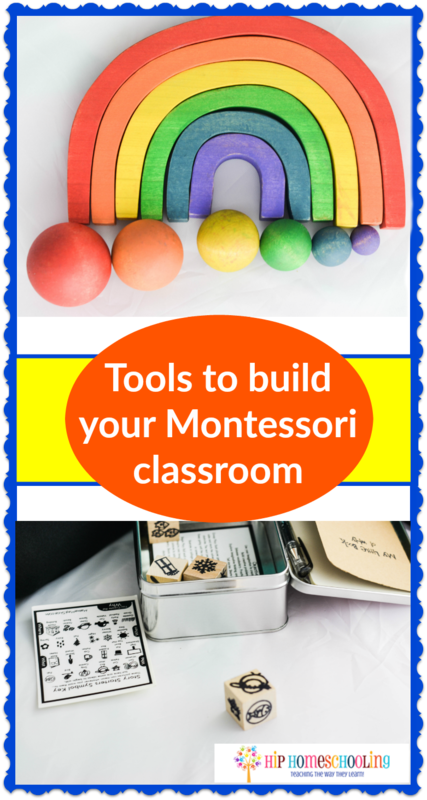 Create your own Montessori at Home with these beautiful resources! In my Pinterest & Google Montessori at home virtual travels… I stumbled upon MamaMayIShop.com and fell in love. Being the visual person I am, I was instantly attracted to the bright colors and organic, handmade feel of this shop. If I was so drawn in, I knew my kids would be too! 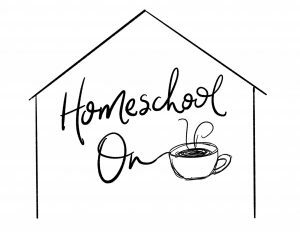 For this post, I will show you three separate products that we used in our homeschool. The first two are more geared towards toddlers and preschoolers (which I just so happen to have) and the last one is one of the products available for older children. 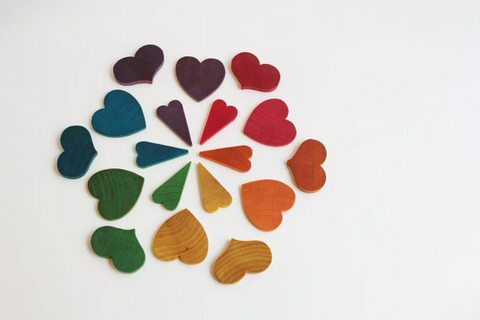 The first product we were sent were these adorable wooden counting hearts. They come in three different shapes/sizes and are hand painted with a nontoxic water based wash. They came in a cute little drawstring bag and my toddler was instantly in love. She is only 2 years old, but with these bright colors she was able to start sorting them into piles and loved the feel of them. I couldn’t keep her away from them and they were a GREAT distractor to keep her occupied while we were doing school! My preschooler was ready to fight her for them and enjoyed sorting them by size and shape in a sorting tray. 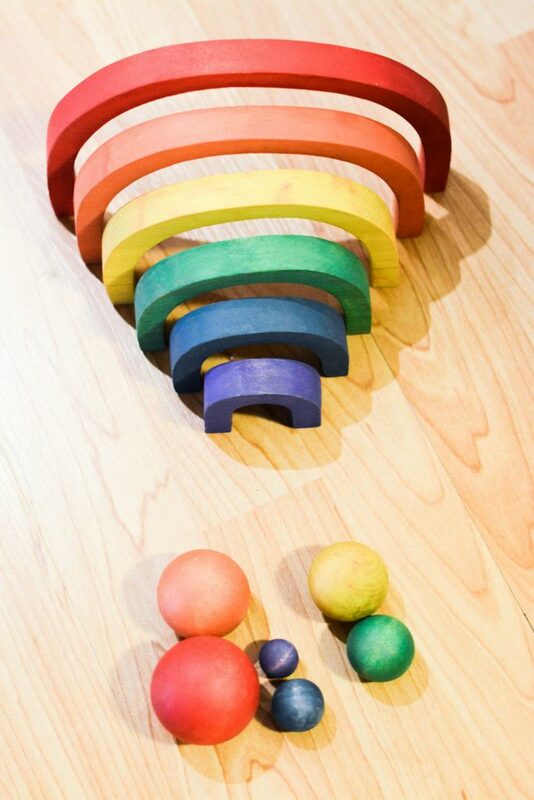 Montessori at Home with a beautiful wooden rainbow game/activity.! The next item we reviewed was the “Shoot for the Rainbow” hand-cut game/activity. This set has become a treasured item in our homeschool and it is easy to see why. 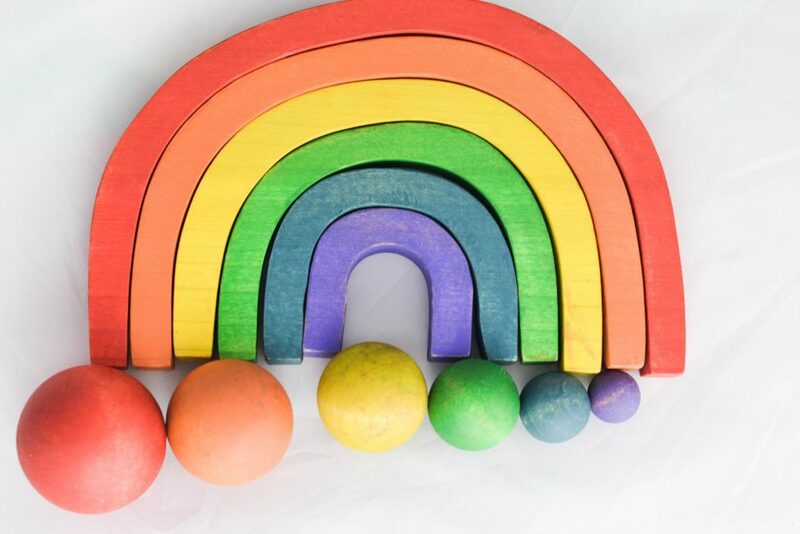 The set comes with 6 nesting rainbow-colored wooden arches as well as 6 coordinating balls (that each fit through the arch of their color). You can use them in a variety of different ways depending on your child’s age, which is one of the reasons we loved it in our large family! Baby’s and toddlers will enjoy nesting the rainbow pieces together like a puzzle while older children can stand them up like a game of croquet. You can use the balls to guess which ones will fit through or set them up together and even do your own bowling game! However you choose to use it, we LOVED this set and it is high quality/well worth the purchase. Make your own Montessori at Home with this Sensory Bin Starter Set! I love sensory activities. I never knew just how effective they could be until I started using them with my kinesthetic daughter and watched her flourish! I have been looking for a good sensory bin starter kit and was more than a little bit excited to have this beauty show up on my door. 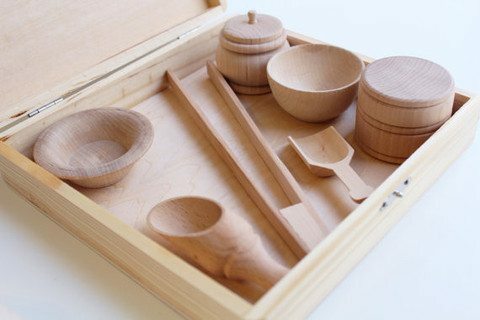 The sensory box starter set is a 8.5″ x 8″ x almost 2″ deep wooden box. What I loved about it was the fact that it closed, it held all the different tools, and it came with different wooden tools/jars to explore with! We used this with rice as well as barley and even bigger items like the heart counters. I even used this for my kinesthetic 7 year old to have her draw her math into the rice! It is a SUPER handy tool to have on hand in your homeschool room and if you are trying to set up Montessori at home, I highly recommend having a sensory box tray, no matter what age your kids are! It is high quality, we have had no problems with it whatsoever and it is a highlight activity in our day! Make your own Montessori at Home with older children too! 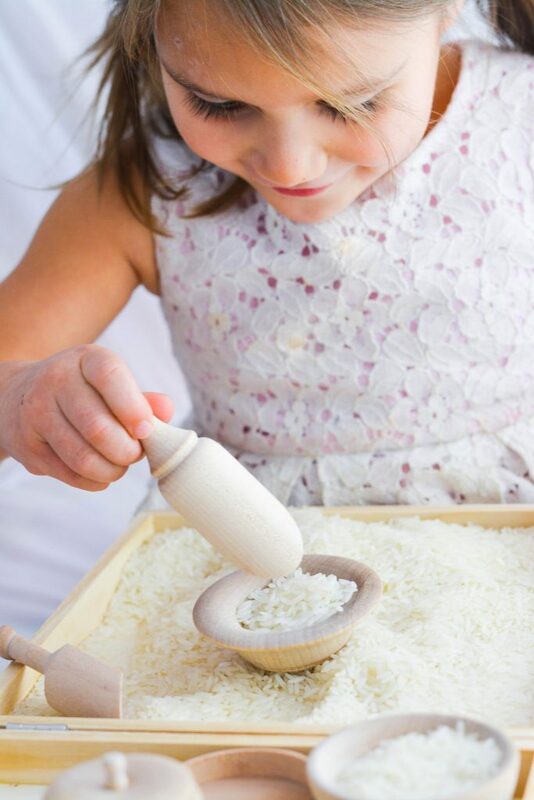 There is a common misconception that the Montessori method only works with preschool and that is simply untrue! I was thrilled to receive the Story Starter Kit to use with my daughter, in grade 2. It came in a cute little tin box, which is every little girls dream (well, mine at least!). 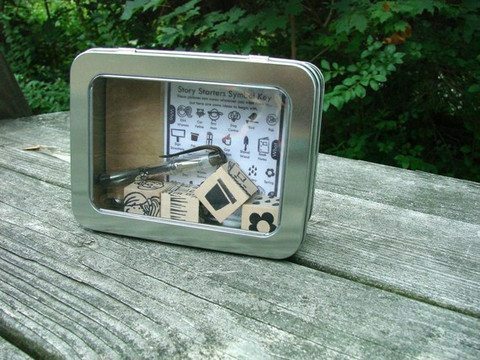 Inside was a story starter symbol key, four wooden cubes with hand stamped images to spark the imagination, a little booklet and a mini sized (good quality I might add!) pen! I watched my daughter’s eye’s light up when I told her it was all for her. She stole away to her room in her teal tutu and started rolling the wooden cubes to begin her story. For a struggling reader/writer, this instantly inspired her and I was highly impressed. I now have this set up on a tray in our homeschool room for her to access whenever she would like. It is her own little book to be creative and she’ll never be at a loss as to what to write about! 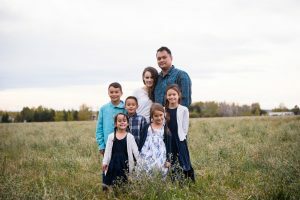 If you want more information about this amazing little shop, make sure to go over and check them out at www.mamamayishop.com, they have some beautiful resources! 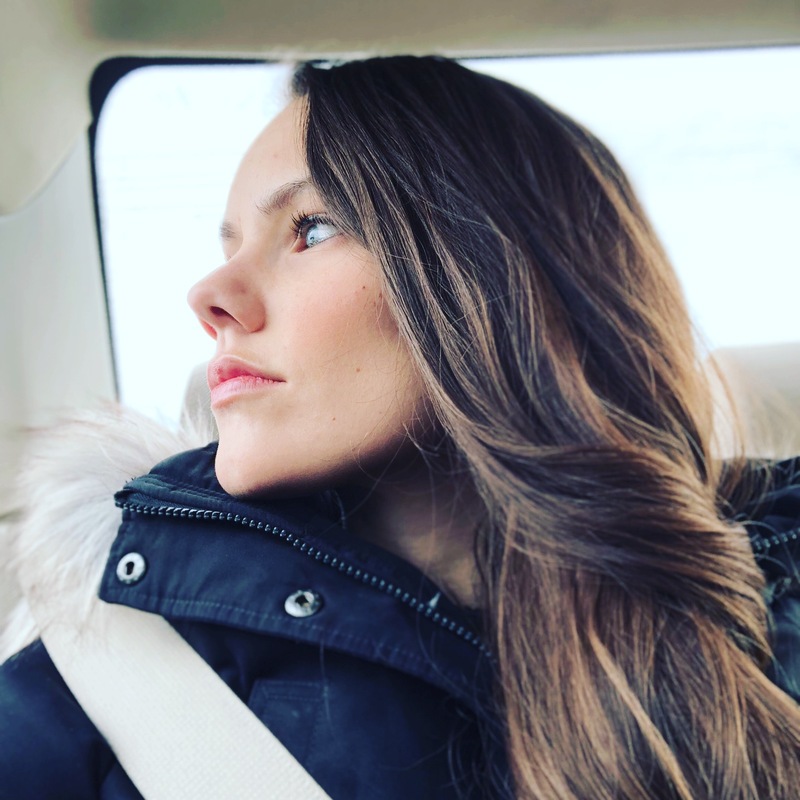 You can also find them on Facebook and Instagram! Do you have any Montessori activities in your homeschool? Comment below! *This is a “sponsored post.” The company who sponsored it compensated me via a cash payment, gift, or something else of value to write it. Regardless, I only recommend products or services I use personally and believe will be good for my readers. I am disclosing this in accordance with the FTC.